WASHINGTON—Admitting that it might be nice to just relax and take it easy over the next several weeks, Supreme Court justice Ruth Bader Ginsburg, 83, was reportedly debating Friday whether to cancel her upcoming winter vacation plans to scale the world’s second-highest mountain, K2. “Maybe it’s wiser not to go, since the weather is supposed to be pretty bad up there this time of the year—although I have always wanted to summit K2 without any supplemental oxygen, and these upcoming weeks seem like the perfect occasion,” said the liberal-leaning 23-year veteran of the nation’s highest court, who later added that she might just take a slightly less strenuous route than the notoriously difficult South Face for her ascent of the 28,251-foot peak instead. “If I still want to do something in the mountains, I could always go heli-skiing up in the Monashees. Though getting out on the water sounds good too, so maybe some cave diving would be nice. 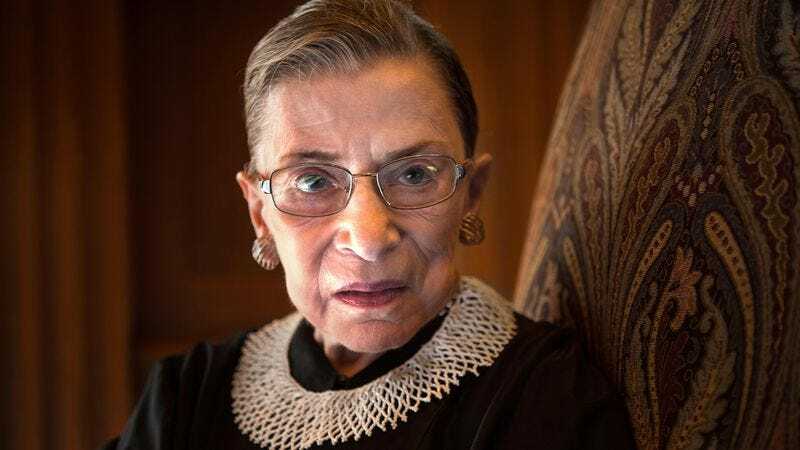 Or should I finally take a trip to Yosemite and do that free-solo climb of El Capitan I’ve been planning forever?” At press time, Ginsburg accepted an invitation from 78-year-old Justice Stephen Breyer to spend their winter vacation going BASE jumping in the insurgent-held Borno region of Nigeria.